When the location of two new pipelines under multiple waterways in Texas needed to be verified, Geospatial Corporation provided accurate 3-dimensional pipeline mapping. 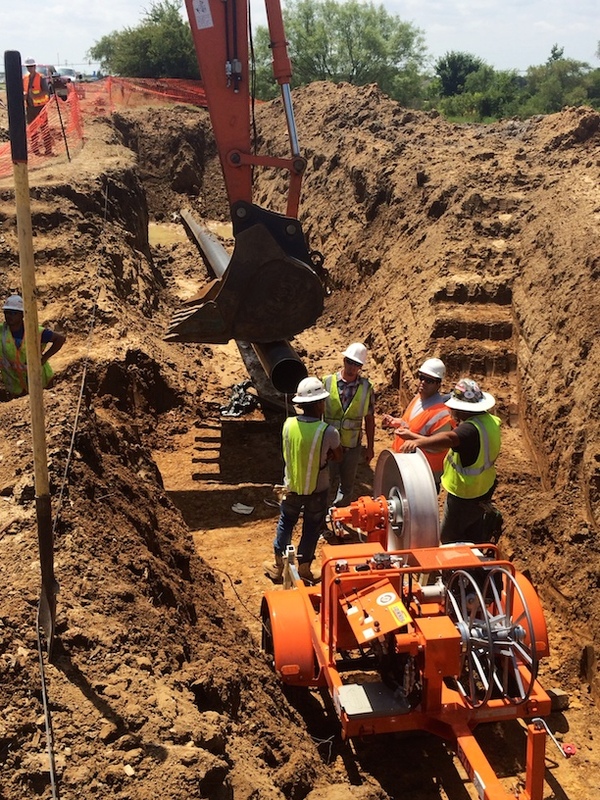 The new installation of two gas pipelines beneath Copperas Branch and Lake Lewisville in Highland Village, Texas, outside of Dallas, posed unique challenges for identifying the exact position of the pipeline underneath the waterways. To improve efficiency and verify the pipelines exact location, Geospatial Corporation was contracted to perform XYZ pipeline mapping. To perform this task, Geospatial utilized their Smart Probe Mapping device and was able to accurately identify the pipelines location. The first section of pipeline measured approximately 2100-feet with a maximum depth of approximately 80-feet. The second section measured approximately 5,600-feet with a depth of more than 120-feet. After completion of the data-collection, Geospatial Corporation was able to verify consistency of the mapping results and begin post-processing at their headquarters. Upon completion, an accurate 3-dimensional map of the centerline of the pipeline was created. Geospatial’s findings were reported via AutoCAD and GeoUnderground for effective and adaptable use of the deliverable. Special notes: The pipeline ends of each line was secured using a backhoe and surveyed accordingly. Please note that these lines are subject to movement once the lines are tied together and that an accurate as-built of the open trenched sections is advised. Additionally, survey was initially done in a state-plane format, however, this project correlates with a DOT project which may utilize an adjusted local-survey system. Geospatial submitted the mapping date in accordance with the adjusted survey system (TXDOT Coordinates).